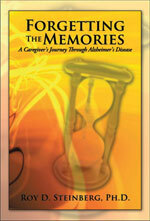 Caregiving for Caregivers best equips Caregivers to: 1) meaningfully and accurately assess whether your loved one may have Alzheimer's Disease or another type of Dementia; 2) give your loved one the best possible care and support; and 3) learn how to "grieve for the living," the healthiest way to truly be an effective Caregiver for a loved one. Using his straightforward style in seminars and one-on-one sessions, Roy Steinberg, Ph.D. diffuses unhealthy misconceptions about aging, memory loss, and dementia. 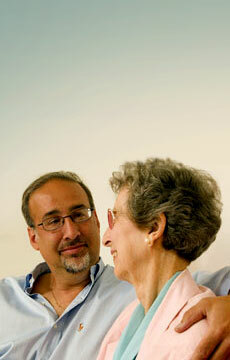 He helps both Caregivers and their loved ones cope with the reality through truth and compassion. Education - Informing Caregivers about the difference between normal, healthy aging and cognitive decline, as well as the different types of Dementia. This enables them to participate in accurately diagnosing and developing behavioral strategies when caring for their loved one. Truth - Helping Caregivers understand that when someone suffers from Alzheimer's Disease or another type of Dementia, he or she is irrevocably changed and Caregivers need to look at him or her as a changed person. Their loved one will never be the same again. Collaboration - Working as a team with Caregivers to diagnose their loved one, understand the truth of what has transpired, and provide the best possible care and support for their loved one. Compassion - Using understanding and compassion to help Caregivers first confront the truth, then take care of themselves, while at the same time doing what is best for their loved ones. - What is the atypical behavior? - Did something trigger the behavior? not aware of such a need? communications that may be harmful or ineffective? addressed in a different way? Are your actions exacerbating these limitations? - Did your approach help? solutions? If so what might you do differently?